E is for Explore! : Let's Rock Fractions! 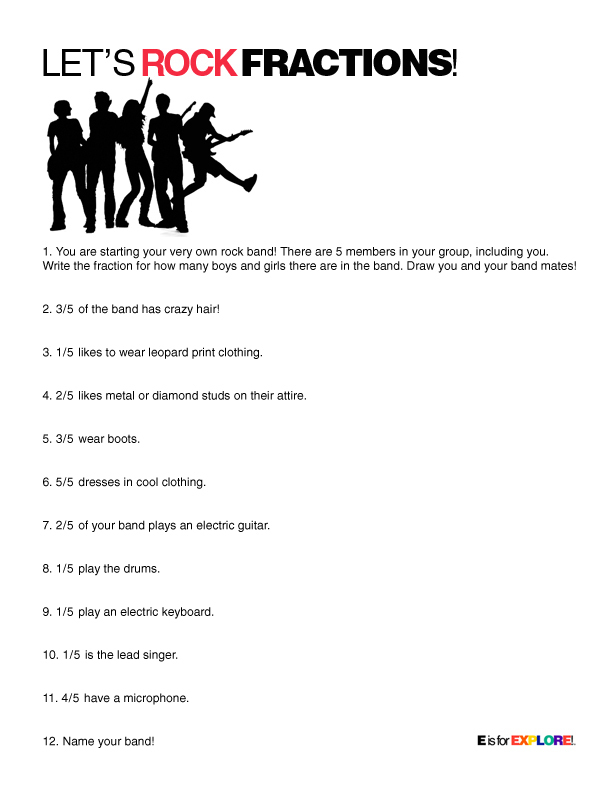 Create a rock band of fractions! Afterwards, have your students create an avatar of one of the band members in voki! Awesome way to engage upper elementary kids in fractions! They'll love it! Thanks for sharing such great ideas!